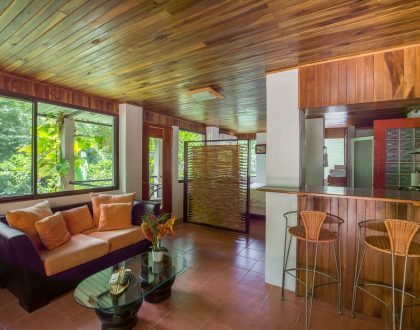 The apartments at Jungle Vista Inn offer guests the ideal Manuel Antonio vacation rental experience. 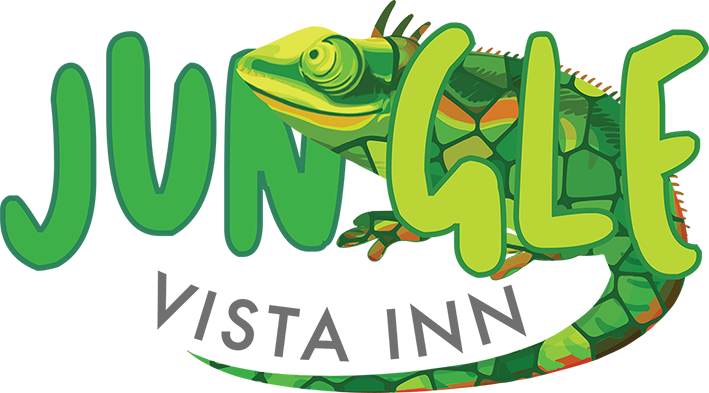 Each vacation rental at Jungle Vista Inn includes a full kitchen (range top, oven, microwave, toaster, blender, and coffee maker), a living room with TV and cable television, a dining room, and a jungle facing balcony as well as a private parking spot. Additional amenities include air conditioning, wifi, and a rain-shower. 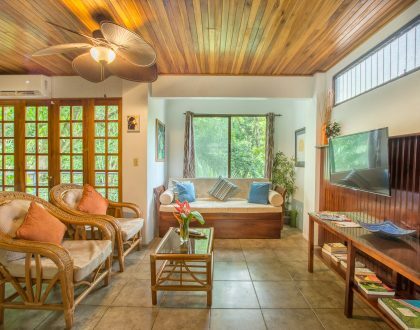 Our Manuel Antonio accommodations were designed with an emphasis on comfort, relaxation, and connection with nature as our hope is for guests to arrive and feel instantly at ease. 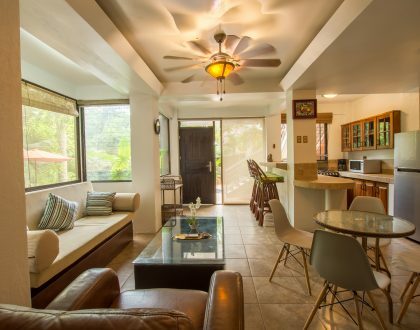 Jungle Vista Inn’s vacation rental apartments provide guests with a peaceful space from which to begin or end any kind of day in Manuel Antonio. Start your morning off with a fresh cup of coffee and a quiet read by our jungleside infinity pool, or end your day with a rest out on the balcony, taking in the serene sights and sounds of the surrounding rainforest. We don’t doubt that you’ll eventually find what you love the most about staying at one of our private and peaceful studio apartments. We’re confident that our nature-inspired hotel accommodations will appeal to guests who want to enjoy the refreshing and rejuvenating aspects of Manuel Antonio while not going over budget. We designed our hotel’s vacation rentals with the intention of creating a space that is tastefully furnished, state-of-the-art, light-filled, and close to nature. Please contact us today with any and all questions you have about our studio apartments!